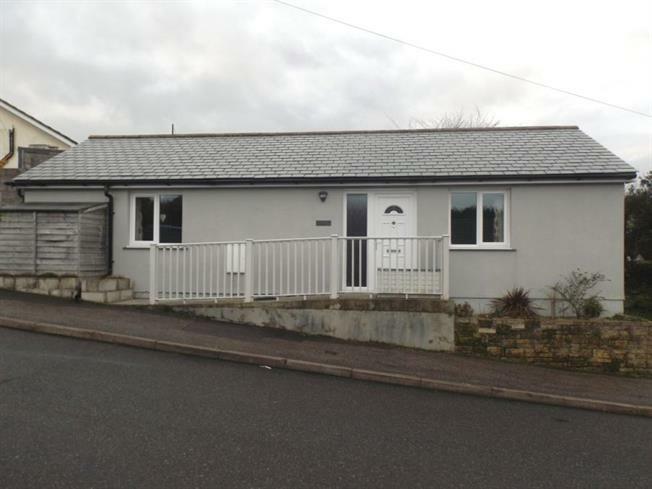 2 Bedroom Detached Bungalow For Sale in Redruth for £149,950. A beautifully presented modern detached two bedroom bungalow situated within the popular area of Lanner. The property is extremely low maintenance and comprises an entrance hall, open plan kitchen/lounge, two bedrooms and bathroom. There is parking and an enclosed garden. The property was completed 5 years ago and is still under warranty. Double glazed front door. Loft Access. Double doors opening to the garden. Radiator. Inset spot lights to ceiling. Sky light. Built in wall and base units with work surfaces incorporating stainless steel sink unit and drainer. Space for fridge/freezer and washing machine. Wall mounted boiler. Sky light and double glazed window to the front. Radiator. White suite comprising a panelled bath with shower above. Low level w.c and pedestal wash hand basin. Tiled wall and heated towel rail. There is off road parking to the side of the property with gated access into the enclosed lawned garden. The enclosed garden is laid to lawn with paving.